Diane Britton Dunham’s work has been documented and recognized internationally as a genuine illustration of the history and traditions of African American southern culture. 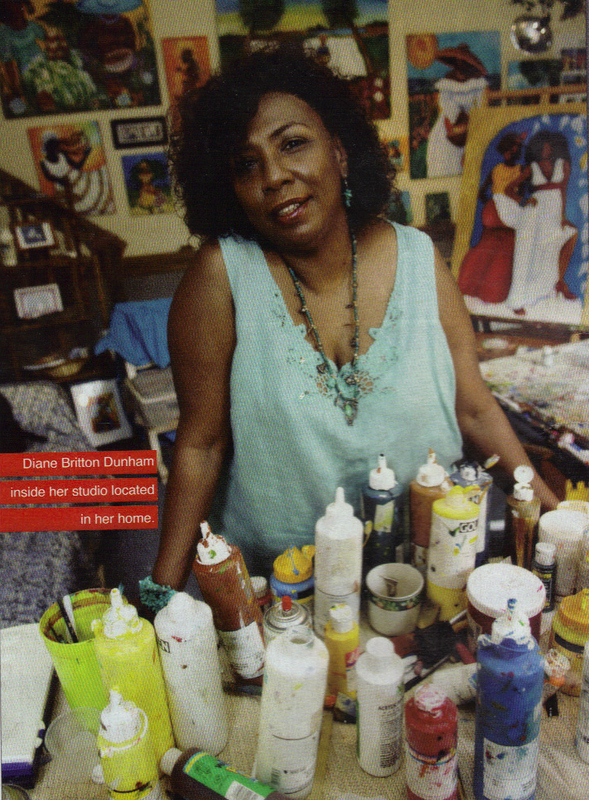 Diane's art encompasses the Gullah Corridor, however influences continue past Jacksononville, Florida to Lousiana. Diane’s paintings are well known because of their brilliant coloring, intricate human and landscape forms, and themes that represent life in South Carolina’s Lowcountry region and the bayous of Louisiana. A self-taught mixed media artist and instructor, Dunham has received honors and awards from organizations like the Artisan Center, the Gullah Festival, and the Beaufort Art Association and others. Her artwork has been featured in many local and national publications such as Black Enterprise Magazine, Pink Magazine, The Hill Rag, to name a few. Diane's work has been featured in The Children’s Museum of Houston’s installation “Tales from The Land of Gullah, in which 3 murals of Dunham’s paintings are featured. Her original artwork has been featured in The Zenith Gallery in Washington, DC, The Red Piano Too in St. Helena Island, SC, Penn Center’s York W. Bailey Museum in St. Helena Island, SC and The Four Winds Gallery in Beaufort, SC to name a select few. If you would like more information or a detailed resume please contact the artist.